Intranet originated from Latin “Intra” means “within” and the English part net for “network”. Intranet unlike the Internet is not public and uses leased lines. In contrast to Local Area Network and Global Area Network, intranet is not the spatial extent of a computer network, but the (limited) extent of its user population.In general, the participants using an intranet has the login system, which consists of a username and associated password. Extranet is a part of an intranet, to which has another, privileged group of users secure access from outside. In an organizational or corporate computer network based on the same technologies like TCP / IP , HTTP and the staff of a company or organization uses the information stored. The term intranet is often regardless of its technical definition for a summary of the operational community or internal Web communications. 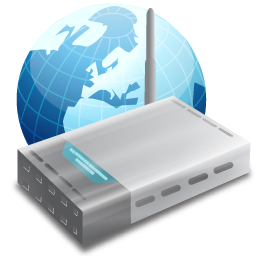 This may include file servers, web sites, chats or forums. Typical contents are public information, such as in-house rules, agreements, procedures and work flow statements, employee newsletters, documents and forms. The access of employees is often through an intranet portal. In the context of Web 2.0 and Enterprise 2.0 if an intranet uses social software elements such as social networks, wikis or blogs then it is called social Intranet. Intranet is also important part of an office, employees can download data for their work, edit or print. Large companies which needs more robust platform such as banks uses modified browsers as an user interface. As depicted on the above paragraph, large companies which needs more robust platform needs a secure server for the set up of Intranet which is a financial burden. Private Cloud is now being used by bigger brands either as a parallel solution to Intranet or separate method to provide the employees a way to access and edit internal data. This Article Has Been Shared 6830 Times! Ubuntu 12.04 Desktop as Ubuntu 12.04 Server With GUI has the advantage of using your Ubuntu Laptop or desktop to use it as Web Server, Accessing Remotely. Cloud as a test environment for applications is an elegant idea in theory, but needs a thorough investigation of the security and privacy aspects. Cite this article as: Abhishek Ghosh, "Intranet : A Brief Details," in The Customize Windows, March 6, 2012, April 21, 2019, https://thecustomizewindows.com/2012/03/intranet-a-brief-details/.